Hon. 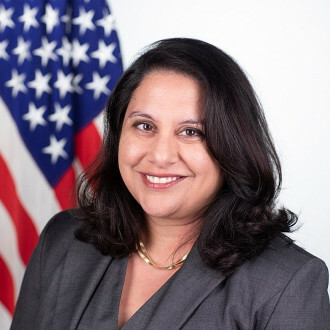 Neomi Rao has published a new Article I Paper in the Florida Law Review, titled Why Congress Matters: The Collective Congress in the Structural Constitution. Below is the abstract, and we invite you read or download the full piece. Congress currently operates in the shadow of the administrative state. This Article provides a modern reconsideration of why Congress still matters by examining the “collective Congress” within the text, structure, and history of the Constitution. Like the unitary executive, the collective Congress is a structural feature of the Constitution’s separation of powers. With deep roots in political theory, the Framers created a representative and collective legislature that would provide a legitimate mechanism for bringing together the nation’s diverse interests to most effectively pursue the common good. To fully realize the benefits of collective lawmaking, the Constitution insists on the double exclusivity of the legislative power: only Congress can exercise legislative power, and Congress possesses only legislative power. The Constitution ties the ambitions of representatives and senators to Congress as an institution by prohibiting members of Congress from exercising the executive or judicial powers. This structure supports the members’ fiduciary responsibilities to the people, minimizes corruption, and reinforces the independence and integrity of the lawmaking power. Understanding the principles of a collective Congress provides a framework for analyzing a range of separation of powers questions, particularly those arising from the delegation of legislative power to administrative agencies. Quite simply, presidential control of administration cannot replace congressional control of legislation. Congress remains relevant in our complex modern society because it provides a unique form of accountability for ascertaining and pursuing the public good, preserving the rule of law, and protecting individual liberty. The collective Congress provides a powerful conceptual framework for understanding the scope of the Constitution’s “legislative power” and how Congress may exercise it. The administrative state blurs the line between the executive and legislative powers. The collective Congress sharpens that line and helps explain why Congress still matters in our system of government. Click here to visit the full paper.